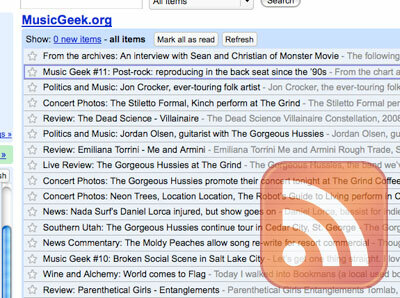 Five of you subscribe to MusicGeek.org with Google Reader. One of you is me. So, let me revise that: Four of you subscribe to MusicGeek.org with Google Reader. Thank you. More of you regular readers should subscribe to this site with some sort of RSS feed reader if you don’t already.